Coffee is enjoyed by people of all ages around the globe. There are coffee shops in just about every size – from worldwide franchises to pop-up cafes and stalls in the nooks and crannies of the city. These businesses thrive as people flock to them for their cup of Joe. A lot of these stores claim to carry the best espresso coffee beans. 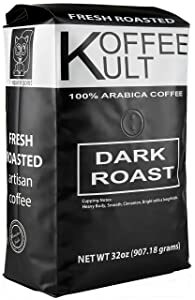 This dark roast is made to second crack during the roasting procedure and released into the cooling bin to have a fuller and more even flavor. It is roasted in the United States and meets the country’s food standards. It is also packaged as a whole bean coffee in an airtight bag to guarantee freshness. These coffee beans meet the SCAA specialty grade coffee standards. You will never go wrong with the taste of this coffee. It is smooth and strong at the same time. The flavor is smooth yet bold. It is not bitter and it is low in acidic content. If you are a gourmet, this coffee is highly recommended. It is purely Arabica. It is ideal for pour over, French press, drip, and espressos. It’s easy to make a cup of coffee. Simply grind the coffee beans and extract according to the right water temperature. See to it that you use the correct water temperature, which is between 195˚F and 205˚F. For every four to six ounces of water, you should use a tablespoon of coffee. So, if you want to have a pot of coffee that makes four cups, you can use twelve tablespoons. This would produce a strong pot of coffee. ​This product is ideal for you if you prefer a blend of Central American milds, delicate sweet Indonesian coffee, and smooth Brazilian coffee. It has a supercrema that gives it a long-lasting and velvety crema taste. It is great for drip and espressos. You can use it for either coarse- or fine-grinding. The two pounds of coffee beans can produce about a hundred and twenty-eight cups of coffee. If you do not like oily beans, you will be glad to know that these are dry enough to be used in your espresso machine. A lot of coffee drinkers are hesitant to use oily coffee beans because the oil tends to clog up their coffee machines. 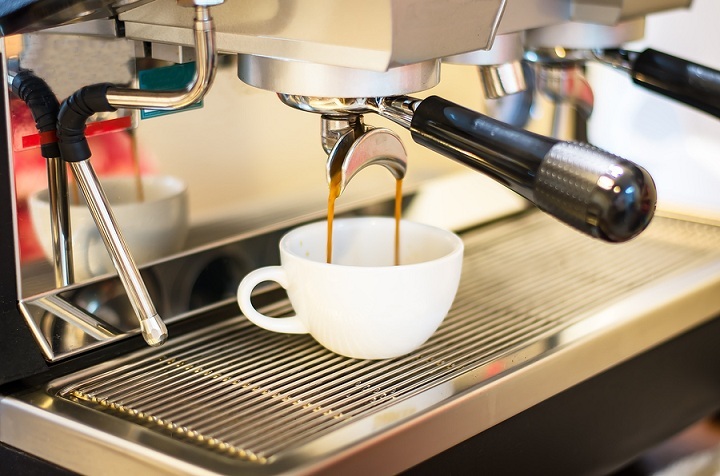 Serious espresso drinkers, especially those who have been to an Italian coffee shop, are aware that espresso beans are not really oily and very dark. When you see black coffee beans, you should stay away from them because they would only produce bitter coffee. It does not matter how you make your coffee. Black coffee beans are not ideal to use. Espressos are strong and dark because of the pressurized steam and fresh grinding process, not because they are made from black coffee beans. 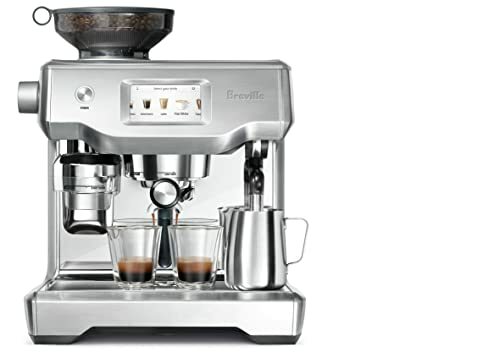 In fact, Lavazza is used in a lot of Italian coffee shops, restaurants, and even homes. The Italians know what good coffee tastes like, and they use Lavazza. These coffee beans are medium to dark brown in color. They are evenly roasted and they exude an excellent aroma when you grind them. You should take note that the aroma is another indication of good coffee beans. When you grind some coffee beans and they do not produce a great aroma, it only means that they have been overly roasted and their natural oils are no longer there. This product comes from Africa, Central and South America, and Indonesia. The coffee beans are medium roast, fair trade, kosher, and organic. If you are in search of smooth and chocolaty coffee, you should go for this bright and heavenly blend. 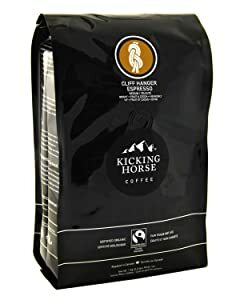 Kicking Horse Coffee is actually smooth, bold, and Rocky Mountain-roasted. It is also 100% organic. The company commits to serving only the best coffee. They guarantee that their products are fair trade, delicious, fresh, and have a full-bodied flavor. They claim to roast their premium coffee beans to perfection at three thousand feet above sea level. Consumers are mostly satisfied with the coffee, but there are still some who complain about a burnt aroma coming off it. Nevertheless, a lot of consumers still like the way the coffee tastes and smell. This product is freshly roasted prior to its packaging. So, rest assured that it is fresh, aromatic, and delicious. The coffee beans are slowly roasted to bring out their full and even flavor. They are whole beans, which ensure that they stay fresh for a long time. 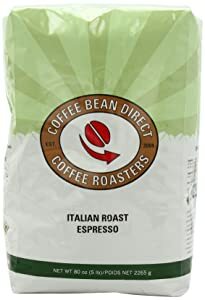 This coffee actually features a blend of Italian roasted beans that are black, oily, heavy, and rich in flavor. They are ideal for iced coffees and espressos. A lot of customers are actually impressed by this product. They love the dark roas﻿t and the fresh taste. They also love the smooth flavor and the low acidic content. 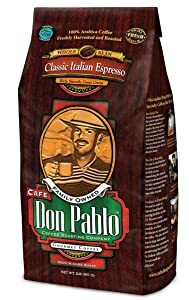 Cafe Don Pablo Gourmet Coffee beans do not disappoint coffee lovers. The 100% whole bean, dark roast Arabica beans formed from a combination of Sumatra Mandheling and Colombia Supremo come in 2-pound bags. These beans have a fresh dark chocolate and cherry flavor and can be brewed using a French press, drip machine, electric percolator, or espresso machine. While this coffee is decaf, it still has the strong flavor of caffeinated coffee. Coffee beans belong to different classifications. You need to be familiar with these different types so that you can easily determine which coffee beans to buy and use for your coffee. Milds are Arabica beans that come from plants growing at high altitudes. 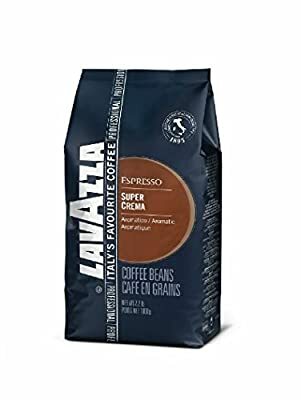 They are the best coffee beans for espresso. Brazils are Arabica beans that come from plants growing at low altitudes. They are not as good as Milds, but they are less expensive. Both Milds and Brazils come from Brazil. Robustas are beans that come from the robusta plant. They are not ideal for espressos because they do not have a strong aroma and flavor. As for raw beans, they smell like grass. They are also soft to the touch. Usually, they are shipped in burlap sacks. You can use them to roast your own coffee. However, if you prefer to buy roasts, you can choose from different types too. Light or cinnamon roast are lightly roasted. These North American coffee beans produce highly caffeinated and acidic coffee that tastes bitter. It does not taste like cinnamon at all, but it has a cinnamon-like color. Medium roast, also known as house or American roast, is medium-roasted and inexpensive. They are commonly used for espressos. City medium or dark roasts are darker and contain less caffeine. They are also less acidic and bitter, but are sweeter than medium roasts. French or city roasts are darker than dark roasts. They are oily and dark brown in color. Very dark roast, also known as fully city, Italian, and espresso roast, is the darkest of them all. It is commonly used for espressos. So, how can you identify a good ﻿﻿﻿coffee﻿﻿﻿? First of all, you have to use your own two eyes, but you can ask a good roaster for suggestions on espressos. Keep in mind that the coffee should not appear charcoal black. Darker roasts are shiny and oily. Darker coffee beans typically produce sweet coffee because they contain natural sugars that have caramelized. When the roasts get darker, their acids and caffeine content are burned off. Thus, lighter coffee is less sweet, bitterer, and more acidic. If you like espresso so much, you should go for dark roasts because they tend to produce a sweet and less bitter aftertaste. How about ﻿﻿﻿blended﻿﻿﻿ coffee and flavored beans? Blended coffee is a mixed bag. Roasters usually blend coffee to come up with a consistent quality that consumers prefer. At times, however, cheap coffee and good coffee are blended to produce coffee that is inexpensive and quite okay. Blends are typically used to make espresso. When you go to the supermarket, you may notice some stock blends labeled as Mocha Java. The "mocha" refers to the coffee beans from Ethiopia and Yemen, while the "java" refers to the coffee beans from Indonesia. Mocha provides good flavor, while Java produces a good body for the coffee. Flavored beans are commonly sold in supermarkets, but not in high-end cafés. This is because these coffee beans are of low quality. Their various flavors are meant to mask the low quality of the coffee beans. Not all coffee beans are created equally. They do not have the same quality, taste, texture, or aroma. Each type of coffee bean has certain characteristics that may or may not appeal to you. Before you order a bag of coffee beans, see to it that you know what type of coffee beans they are. You should know how they look, feel, smell, and taste like. If you do not want to waste money, it is best to sample a small bag of coffee beans first. You can only proceed to buying another bag if you are satisfied with your previous purchase.